Virtual Reality will transform the retail industry, and eCommerce in particular, beyond all recognition, reports Ecommerce Guide. As the website loading speed and performance improve, new technological capabilities become available to eCommerce businesses. VR is set to be the most effective of those, as is proven by the predictions from Statista, which promise this market to reach over $209 billion by 2022. 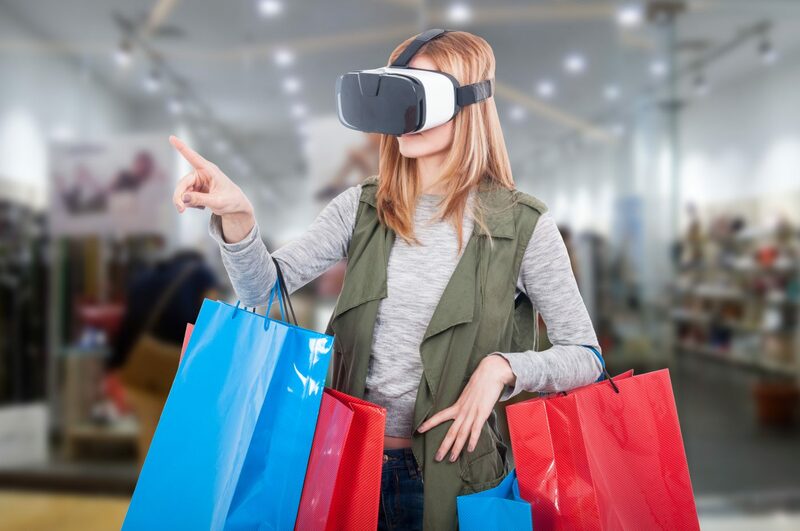 The idea behind integrating VR technologies into the eCommerce industry is to make it possible for people to visit a retail store without leaving their homes. The current level of tech doesn’t allow for such a realistic experience. For now, businesses are able to provide their customers with experience of visualizing the store as well as trying on the products on offer. Shopify’s Thread Studio app was the first VR application for eCommerce that showed the power of this technology. It launched in 2016 and even compared to that the level of VR tech has progressed greatly. This means that eCommerce businesses of today that want to use this technology are able to make much more of an impression on the customers. However, to achieve that one needs to not only develop a custom solution that will be supported by the most popular VR headsets of today.It’s also essential to have a site capable of supporting the plugin and graphics for it. One needs to be careful when choosing who will host a website with integrated VR. The hosting package for that will have to be extremely generous to ensure peak site performance regardless of the draw on server resources. The uptime of 99.9% is also a necessity for this kind of website. It’s also important to decide what exactly the VR experience of the store will provide. At the moment, this technology doesn’t allow customers to ‘travel’ to the store through virtual reality and enjoy shopping in real time. The majority of the solutions that work smoothly are video guides that allow the customer to experience a place. The best way for eCommerce businesses to leverage current VR technology is to tell detailed stories of the products. This effectively negates the biggest drawback of online shopping, which is inability to realistically evaluate the product from a picture. With VR tech, one can not only show off the product’s 3D model in great detail. The business also can tell the story of its creation and help the customer visualize how the product will fit them. VR tech makes it possible to visualize showrooms to the point where a person sitting in their home will experience the showroom as if there. This effectively blurs the line between brick-and-mortar and online shops. Add to that the fact that augmented reality technology allows to visualize the product in multiple ways (how a sofa would fit the room or a shirt the person). And there’s also the fact that VR tech can be used to tell stories that are 100% immersive, so the buyers will be able to learn how the products are made. With this technology available, there’s no surprise that retail stores might soon become obsolete. As the availability of this tech grows, the need for those decreases.